Duracell is the global market leader in the production of alkaline batteries, specialty and rechargeable batteries. Since the company was founded in the 1940s, it has grown to become an iconic brand when it comes to providing devices with power with compact and durable batteries. The company is known for its high quality and superior performance. The Duracell plant in Aarschot (Belgium) was founded in 1967 and nowadays it counts 450 employees. By 2020, it wants to be listed as a true “Industry 4.0 Factory”. Therefore, in 2017, Duracell, Ometa and implementation partner Devoteam started an Industry 4.0 pilot project to raise the quality of its batteries and the efficiency of the production process to a higher level. In 2016, Duracell did a research to find out where the biggest losses were situated on the production floor. They conducted a content analysis on all kinds of data and documents that were used within the factory. The results indicated that each year they spend more than 20,000 hours on processing documents, both digital (Excel, pdf) as on paper. Therefore, the first thing to do was to eliminate all of this paperwork and Excel sheets. In order to do so, they found Ometa as a technology partner. During the last 20 years, over 800,000 files were gathered in more than 156 different folders. Eventually, this created chaos and employees were hardly able to find the right documents. To cope with this problem, Duracell decided to implement SharePoint as a Document Management System (DMS). This allows the company to only work with current data and to eliminate 80% of the initial 800,000 files. Untill recently, the typical flow was that documents were being filled in, after which a key-user entered the data into his or her system. 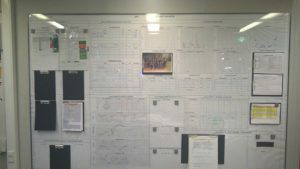 The information was then printed out again and passed on to a planner or a technician. Why? Simply because it is impossible for operators on the shop floor to work with all of the underlying systems in which data is processed. Now however, thanks to the Ometa framework, this complexity is removed. Instead, all systems and documents are linked to each other in one central SharePoint platform. All the information about production planning, production quantities, waste percentages, maintenance, safety and quality control which used to be processed manually in different places, now flows directly and automatically towards the digital workspace in SharePoint. This is how the information is now immediately available on the work floor. Thanks to this real time connectivity of all data into a digital workspace environment, all exports and macros of any system towards Excel have become unnecessary. Instead, these are now replaced with real time portals. Whereas in the past, technicians needed to look and search for documents, they now get them delivered at the time when they need the information. Ultimately, for Duracell, working paperless has a huge positive impact on the speed of its factory. Moreover, this new way of working will allow the company to save about 650,000 euros over the next three years. With the current paperless project, we will be using less documents and this will allow us to save about 650,000 euros over the next three years. In the next three years, their new owner will invest 50 million euros in Duracell. The Industry 4.0 project takes up about half of that budget. Compared to the total investment, the costs for creating the paperless platforms is rather small, while the efficiency gain is great. Tasks are now assigned to employees through computers and mobile tablets. Tasks in red indicate that there is a problem and that these need to be solved first. Once these critical tasks are completed, they disappear from the screen and this is automatically processed via SharePoint. In other words, operators have access to dashboards on which the most recent information is shown in a straightforward visual form. This results in a higher production output, but Duracell’s main goal is to improve the quality of their batteries even more. A battery is made in several steps, which we refer to as transformations. Today, these transformations are checked via samples. The factory in Aarschot produces around 700 batteries per minute per line and a total of 5 million batteries per day. In the future, Duracell wants to be able to check every single battery that is produced. Not on a sample basis, but in real time. Therefore, smart cameras and scanners will be installed to digitize and continuously monitor every transformation. We get more than 30 data points per battery or approximately 180 million data points per day. This means we receive a lot of data. Consequently, we will use machine learning techniques to predict whether the quality of a battery is good or bad. The goal is to reach a situation in which a technician receives certain signals indicating that he needs to intervene in order to guarantee a high quality. If we can skip the samples, then the production line does not have to be stopped anymore for quality checks. This already yields 2% of improvement. In the past, whenever a sample indicated a bad result, then production had to be set aside up until the previous measurement. That created a lot of reprocessing costs. In contrast, when we will be checking real time and per battery if the quality is good, then the amount of scrap will be reduced a lot. So Duracell will capture the critical parameters (images, dimensions, quantities, etc.) of the various transformations in the assembly process online and in real time. This data will be linked in real time per individual battery to other parameters from other systems (process MES, logistics SAP, environment, etc.). In combination with algorithms for machine learning, this data allows to predict the quality of the product and to alert the production worker in case of deviations. The final product of the Industry 4.0 project is a system that collects information within a certain context (product, production line, etc.) whereby all available data is pushed towards the knowledge worker and he is also offered suggestions based on past results. Therefore, the knowledge worker is informed at an early stage if the system suspects that problems may occur on the basis of past experiences. The predicted quality data and potential tasks are made available to the technicians in an unambiguous way through a clear Office 365 interface. The technicians can then take the necessary actions based on this information to adjust the process in the context of predictive maintenance. Based on notifications, they are informed of potential events such as a line stop, quality issues or breakdowns. Through this warning system the quality of the products as well as the process itself is monitored and Duracell will soon be able to eliminate 80% of the current manual samples. Together with the continuous quality improvement, the goal of the project is to create a Digital Smart Assistant. This is a reinforcement of the operator who receives advice and suggestions from the system on the basis of the obtained input parameters. The knowledge worker can accept suggestions (positive stimuli) but also ignore suggestions. The Digital Smart Assistant will mean a huge innovation on the production floor and it will actually transform Duracell Aarschot into a true factory of the future. Two factors are very important in this transition. First of all, it is important to divide the project into manageable parts that you solve one by one. That is one of the biggest challenges. Secondly, you need the support of the entire company. You need the support of the management, you need strong leadership and need the cooperation of people on the work floor to get things going. This requires vision and organization. 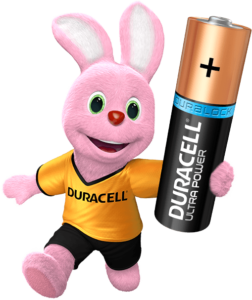 For this project, Duracell has put together a ‘core team’ with staff who voluntarily participate. Especially the operators are involved in this project. It is not technically inspired and the people on the floor decide together with their team leaders what they find important. Engineering and IT follow that core team to achieve what is put forward. We always work with a lead model: we make a proof of concept and we work that out with input from several people. After that, one or two teams test it out in reality and they then provide feedback. Based on this, the solution is rebuilt or optimized and only at that point the system is rolled out. We therefore proceed step by step and the input of the employees is very crucial. We also communicate a lot with the staff about this. The whole project is very interactive and the final application will not come as a surprise to our staff. You need the support of management, you need strong leadership and you need the cooperation of the shop floor to get it all going. This requires vision and organization.